TAP Back On TrackOctober 28, 2010 - Due to the time constraints attached to federal stimulus dollars that were awarded to other organizations to complete various projects throughout the City, the Torresdale Avenue Project (TAP) was delayed. Since it is not being funded by stimulus dollars, the Major Artery Revitalization Committee (MARC) had to patiently wait out the process before continuing with the second phase of construction. ”We are happy to report that TAP is back on track," said MARC President John Byrne. The initial phase increased the lighting on the avenue. 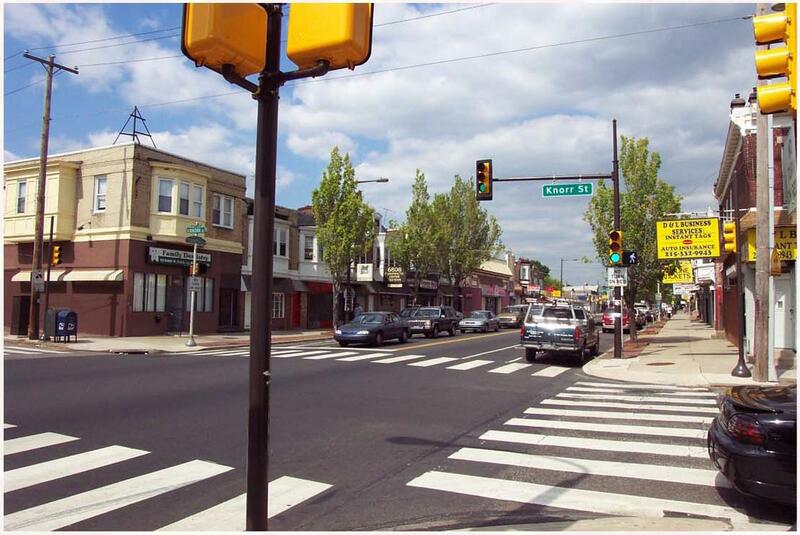 With new, shorter lamp posts called “pedestrian poles” in the Tacony business district, more light has been shed on the avenue’s sidewalks and storefronts. This design promotes safety and security at night. 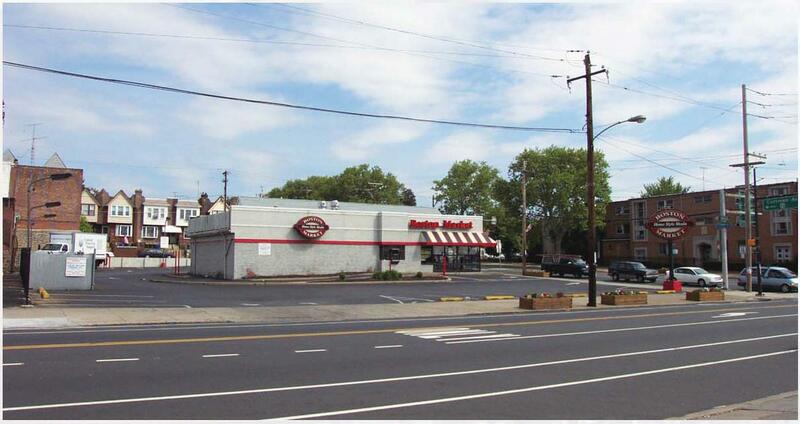 TAP BID ACCEPTEDMay 6, 2008- The Philadelphia Industrial Development Corporation (PIDC) on behalf of MARC accepted the bid by Seravalli Inc. to construct the first phase of the Torresdale Avenue Project (TAP). The initial phase increases the lighting on the avenue. 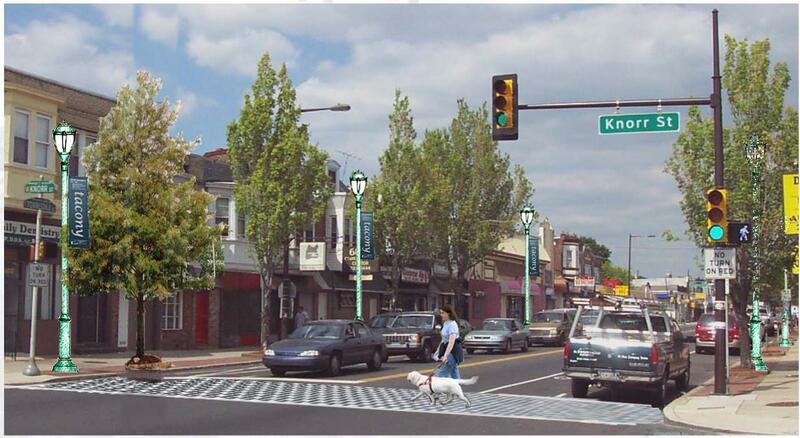 With new, shorter lamp posts called “pedestrian poles” in the Tacony business district, more light will be shed on the avenue’s sidewalks and storefronts. This design promotes safety and security at night. Hanging flower baskets on the lamp posts will also serve to beautify the landscape. Work is set to begin this summer and the second phase, which includes intersection and crosswalk improvements, will go out to bid shortly after. 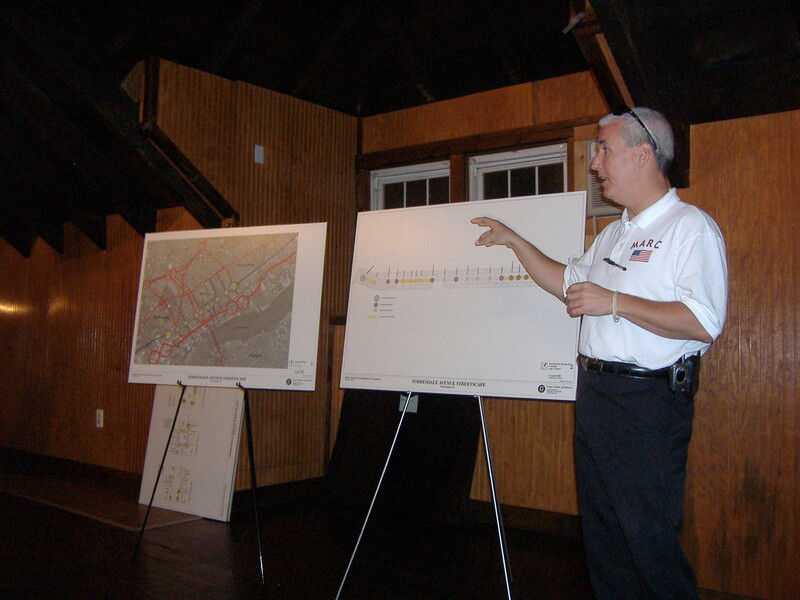 October 13, 2006 – The Major Artery Revitalization Committee (MARC) and Urban Engineers met with local civic and business leaders on Thursday, Oct. 12 to discuss the nearly $2 million in federal and state funding slated for improvements along Torresdale Avenue. State Representative Michael P. McGeehan (D-173) along with officials from MARC, Urban Engineers and Cope Linder Architects provided an update on the current plans and status of the Torresdale Avenue Project (TAP). 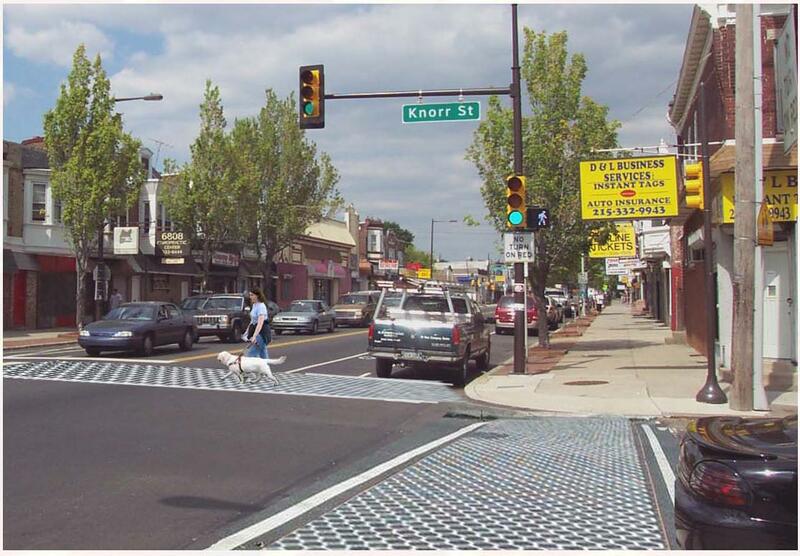 The goal is to create more attractive business districts in Tacony and Wissinoming starting with gateways at the intersections of Cottman Avenue and Harbison Avenue. 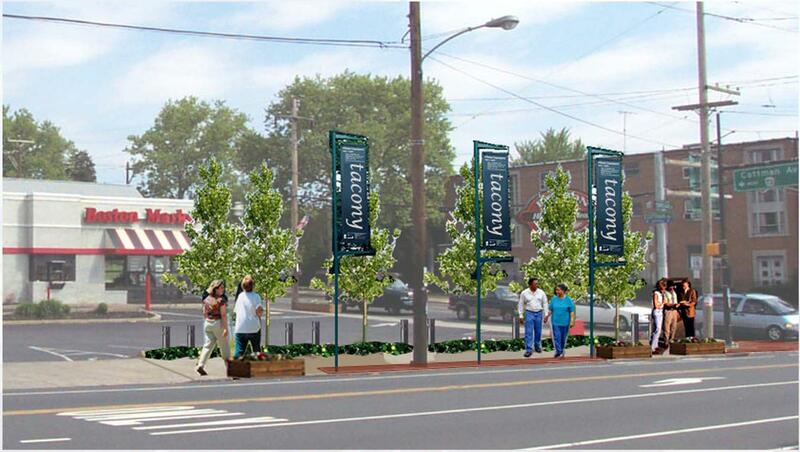 Their ideas for the gateways include flower beds and banner poles with either Tacony or Wissinoming banners. That continuity will be enhanced with similar crosswalks, benches, trash bins and newspaper honor box corrals along the avenue. The decision on the appearance of these items will be made during future meetings with the local civic and business organizations. SEPTA is also planning improvements to their facilities in the district, which will blend in with what the community chooses. Meanwhile, they also plan to double the amount of light shown on the business district by adding light fixtures and improving existing light fixtures. The new lighting fixtures will be reminiscent of those found in Center City. They are shorter, only 17 feet tall, and shed more light on the sidewalk. After the presentation, business owners and civic leaders wanted to know what was being done about parking. 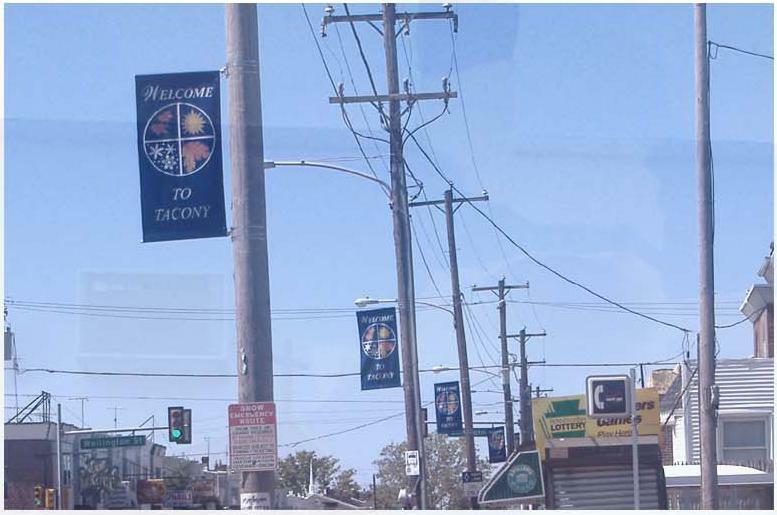 Currently, MARC, the Tacony Community Development Corporation and the Tacony Business Association are looking into viable options for a potential parking lot. Assuming all goes as planned, work should begin in the spring of 2008. Updates of the project’s progress will be available on MARC’s web site. 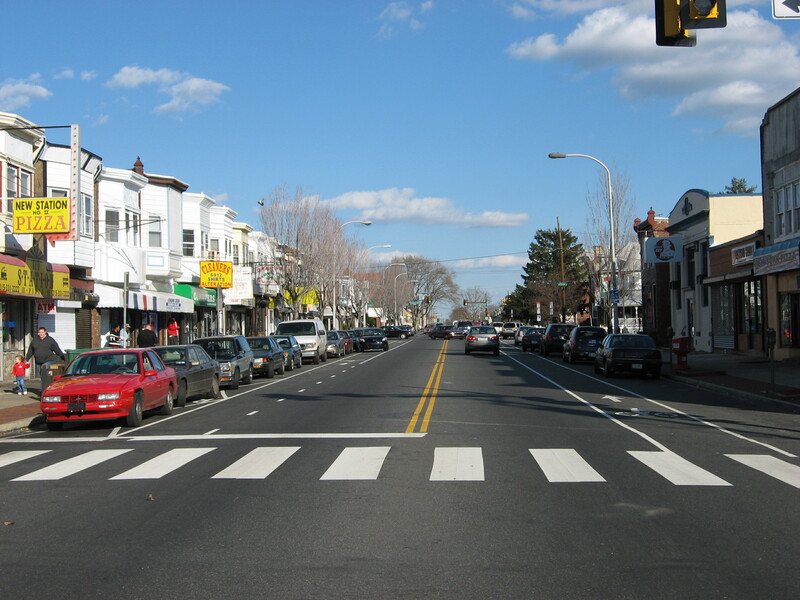 October 16, 2006 – The Major Artery Revitalization Committee (MARC) requests the input of local residents and businesses regarding streetscape improvements along Torresdale Avenue. Simply download the survey, answer the questions and sent it back to MARC. Participants can print out the survey and mail it to Major Artery Revitalization Committee, P.O. Box 8904, Philadelphia, PA 19135. Or, they can attach the completed survey to an email and sent it to marc.cleansweep@gmail.com. Also, feel free to cut and paste your responses into the body of the email. Just don't forget to include your name, address and phone number. MARC thanks you for your assistance in improving the neighborhood.